Pure Pashmina Shawl Camel 2 Ply 36"x 80"
The Pashmina Store is pleased to offer you premium quality Camel 100% pashmina shawls at exceptional values. 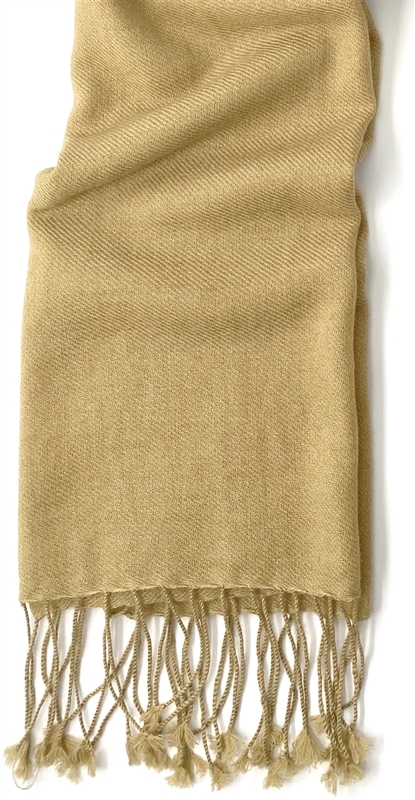 This beautiful camel colored shawl is a full 36" x 80", plus 3" tassels on both ends. It is carefully hand made in Nepal using 100% soft and lightweight pashmina wool. Plus, it is classic 2-ply...making it extraordinarily comfortable. 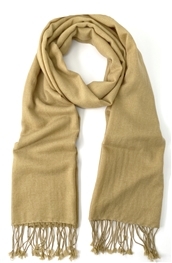 Pashmina is the traditional name for the very best grade of cashmere wool. 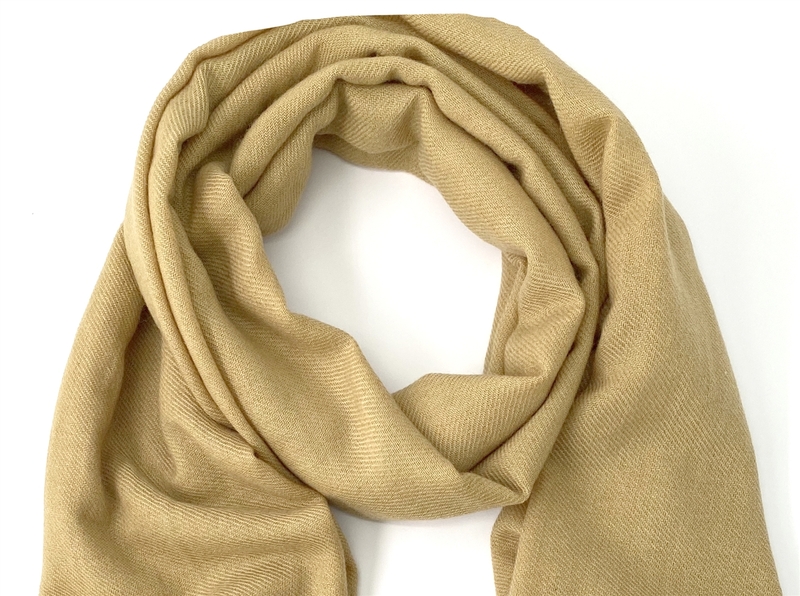 Because of its unique softness and comforting warmth, pashmina is also called the "diamond fabric" and the "soft gold of high Asia." Put simply, it is the finest, softest and warmest wool available anywhere. Pure Pashmina Shawl Midnight Lavender 2 Ply 36"x 80" Pure Pashmina Shawl Dark Purple 2 Ply 36"x 80" Pure Pashmina Shawl Beige 2 Ply 36"x 80" Pure Pashmina Shawl Natural 2 Ply 36"x 80"
Pure Pashmina Shawl Charcoal 2 Ply 36"x 80" Pure Pashmina Shawl Midnight Blue 2 Ply 36"x 80" Pure Pashmina Shawl Light Blue 2 Ply 36"x 80" Pure Pashmina Shawl Red 2 Ply 36"x 80"